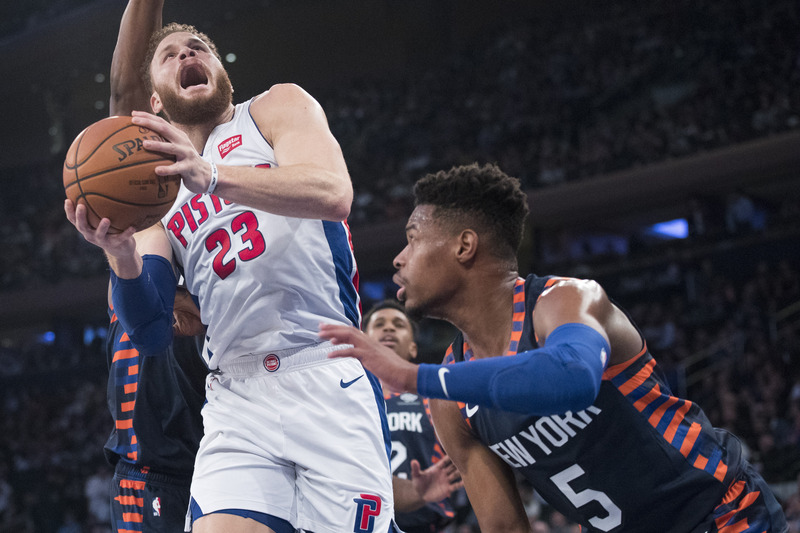 BOTTOM LINE: Blake Griffin leads Detroit into a matchup against New York. He’s tenth in the league averaging 26.1 points per game. The Pistons are 15-18 against conference opponents. Detroit is 7-15 in games decided by 10 points or more. The Knicks are 6-30 against Eastern Conference opponents. New York is 3-26 in games decided by 10 points or more. In their last meeting on Feb. 5, the Pistons won 105-92. Griffin led Detroit with 29 points. TOP PERFORMERS: Griffin leads the Pistons with 5.4 assists and scores 26.1 points. Zaza Pachulia is shooting 53.6 percent and has averaged five points over the last 10 games for Detroit. Dennis Smith Jr. leads the Knicks averaging 16.5 points and is adding 4.0 rebounds. Noah Vonleh has averaged 8.6 rebounds and added 8.7 points per game over the last 10 games for New York. LAST 10 GAMES: Knicks: 0-10, averaging 97.2 points, 41.4 rebounds, 18.7 assists, 7.1 steals and five blocks per game while shooting 42.5 percent from the field. Their opponents have averaged 108.6 points on 45.4 percent shooting. Pistons: 5-5, averaging 101.8 points, 44.6 rebounds, 23.7 assists, six steals and 3.7 blocks per game while shooting 43.8 percent from the field. Their opponents have averaged 100.7 points on 46.1 percent shooting. Knicks Injuries: Frank Ntilikina: day to day (groin), Emmanuel Mudiay: out (left shoulder).